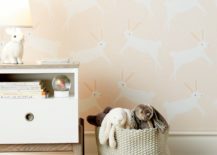 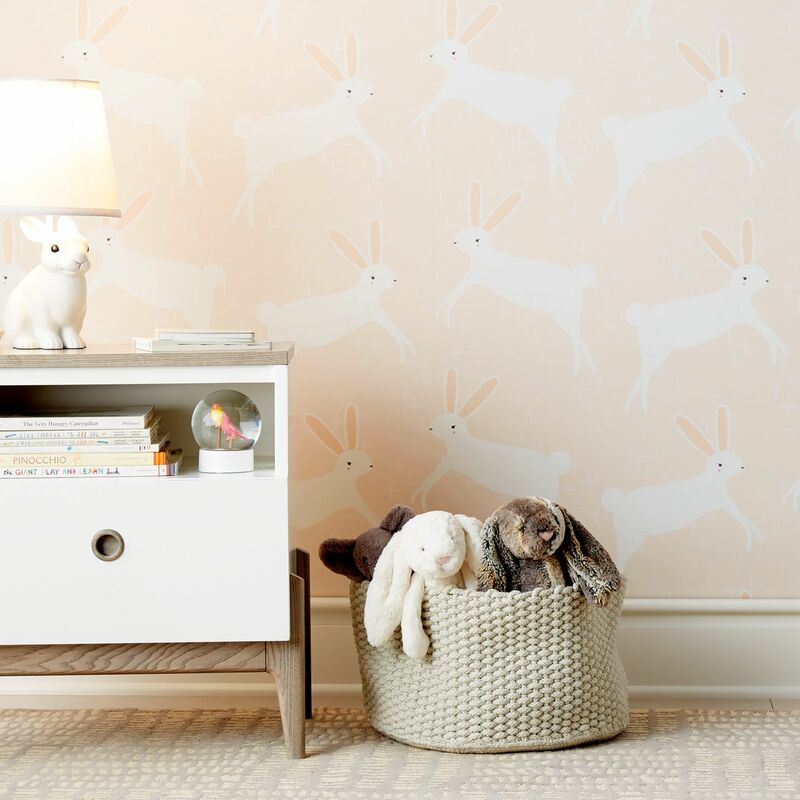 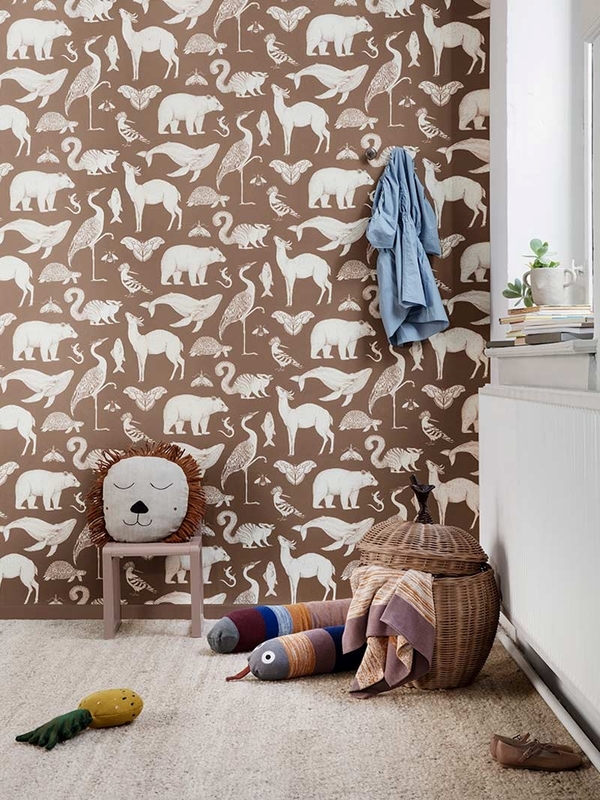 Also from Crate & Kids is this blush Chasing Paper Pink Leaping Bunnies wallpaper, a whimsical reminder that animal motifs are alive and well in the realm of kids’ rooms. 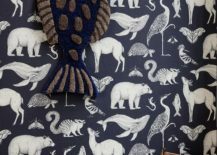 Much more on animals motifs to come later in the post! 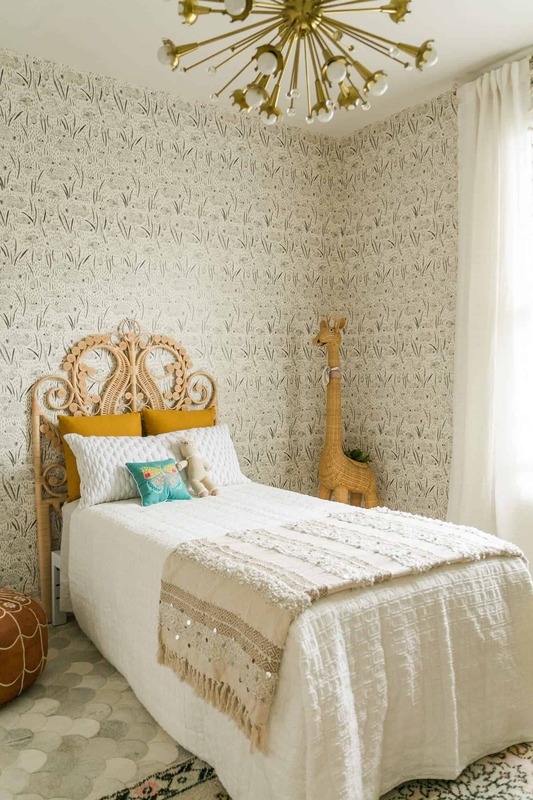 A wicker headboard and vintage giraffe planter are two of many highlights from this toddler’s room designed by A Beautiful Mess. 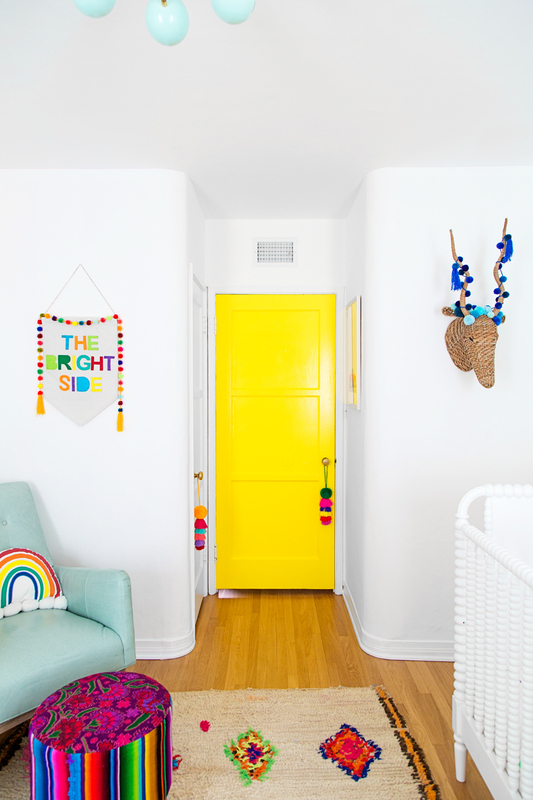 With neutrals all around, the space is soothing, and vibrant pops of color truly stand out. 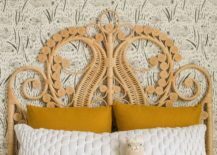 If you’re interested in details on that headboard, it was an Amazon purchase, hand-crafted from naturally grown rattan! 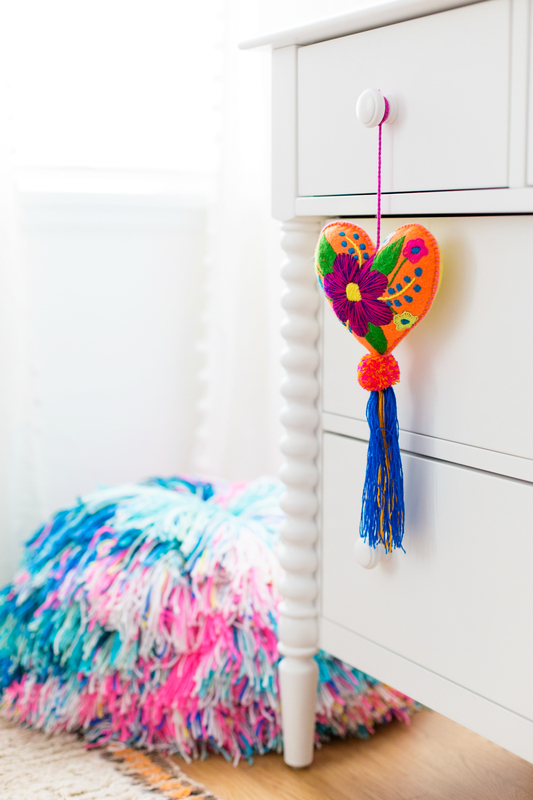 Speaking of pom poms, it’s time to revel in the glory of yarn crafts. 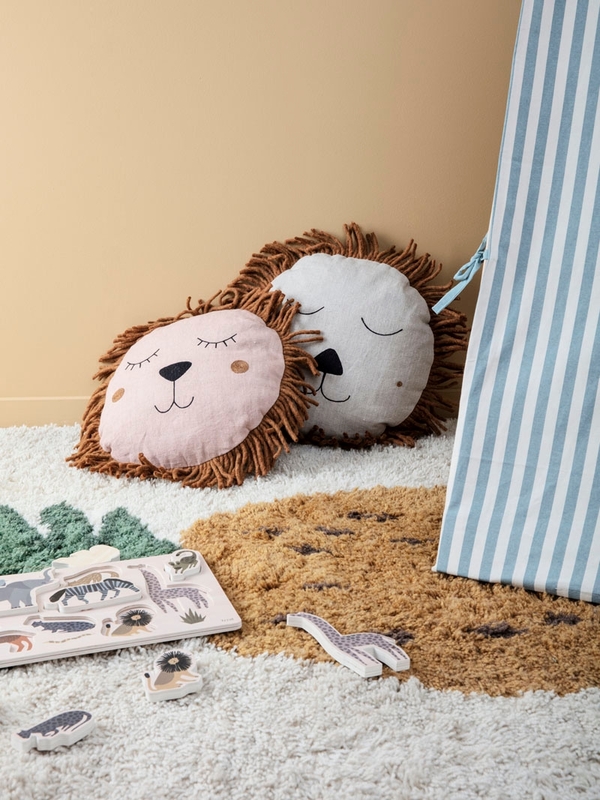 Pom poms and tassels are undeniably festive, yet they also channel a laid-back feel that’s perfect for child-friendly spaces. 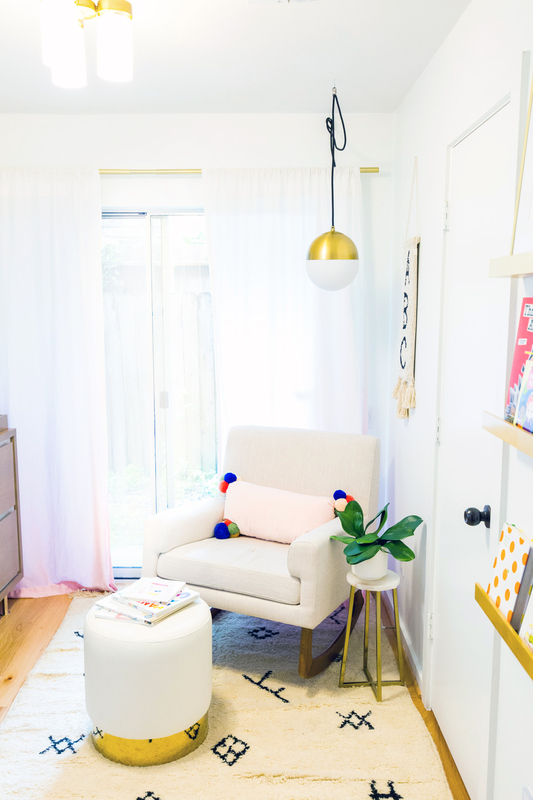 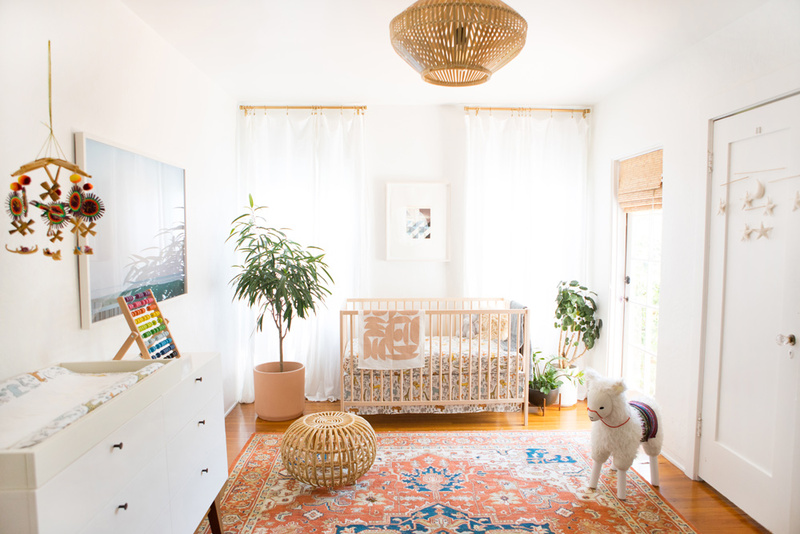 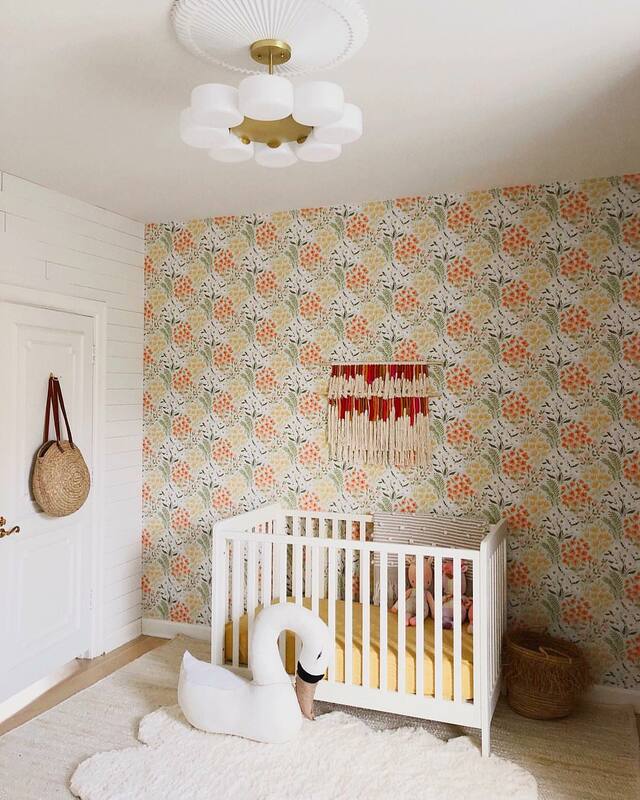 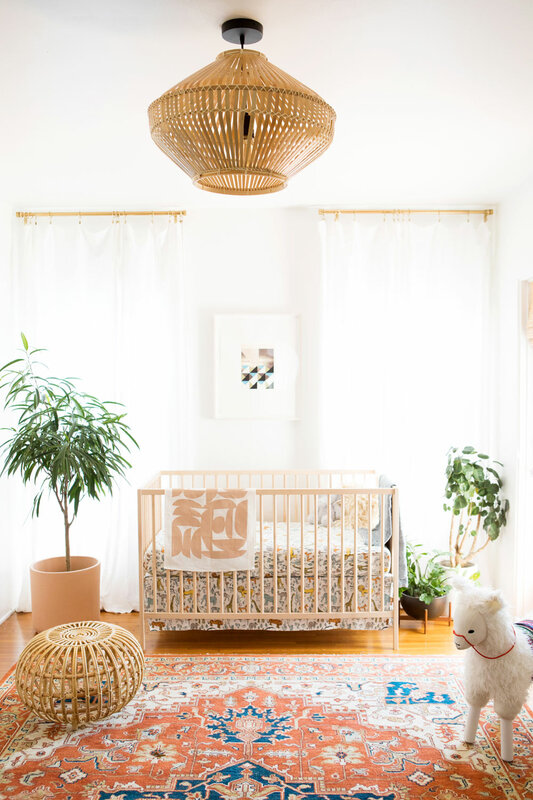 Can you count the pom poms and tassels featured in this amazing nursery designed by Studio DIY?! 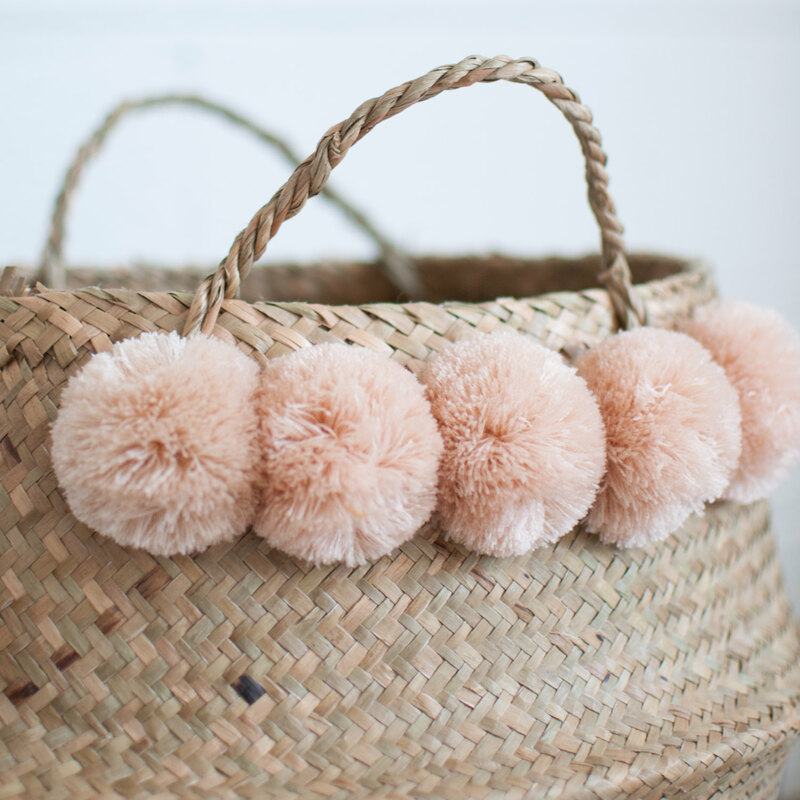 We’re 100% smitten with the giant pom pom seen in the background below. 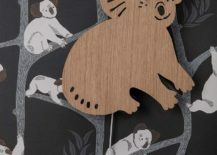 Learn more at Pom Pom Projekt. 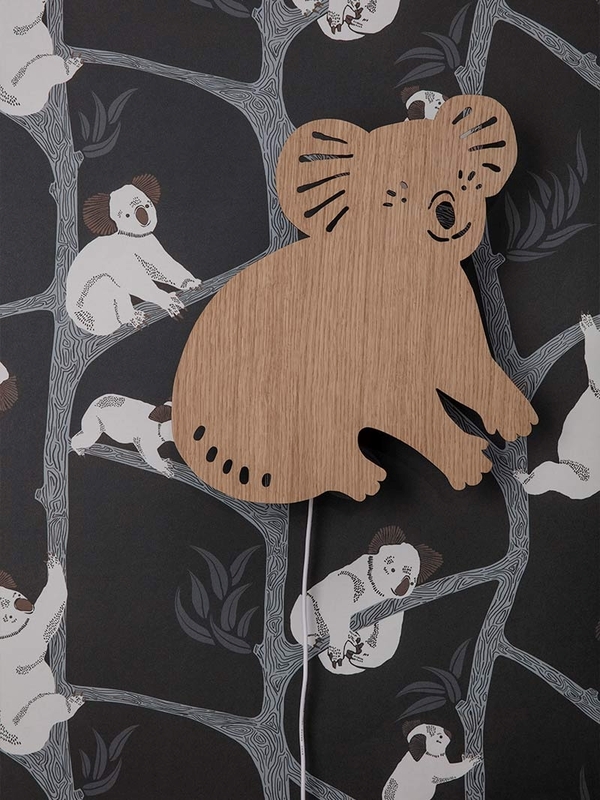 ferm LIVING’s Koala Lamp pulls double duty as decor and useful lighting. 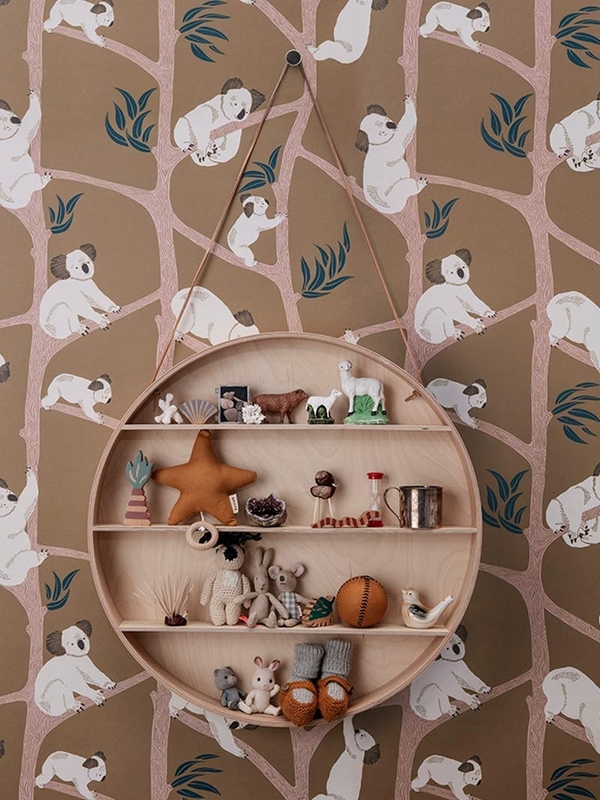 Bonus points if you mount it on a wall featuring koala wallpaper! 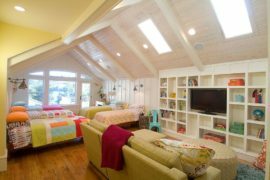 Oiled oak veneer is the material of choice. 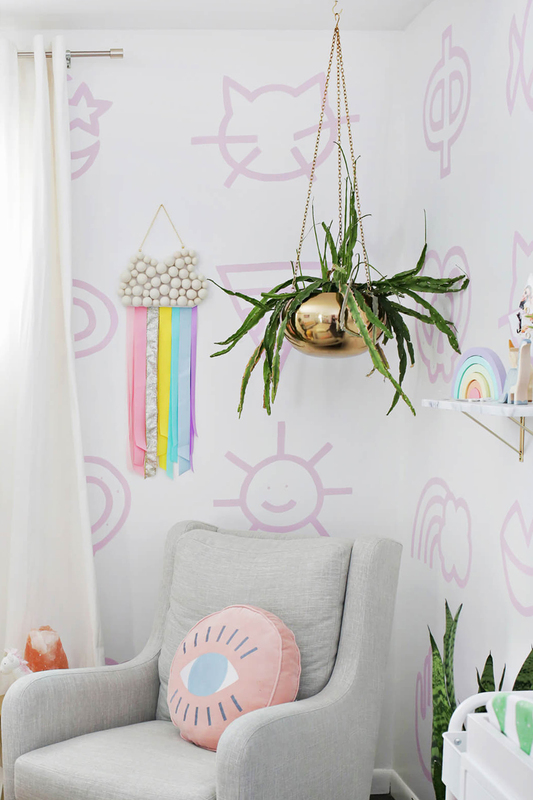 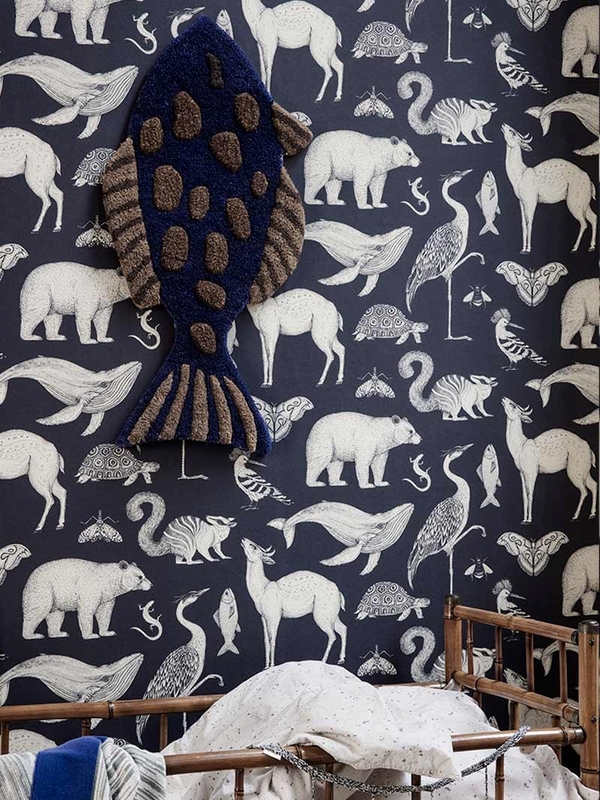 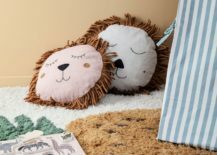 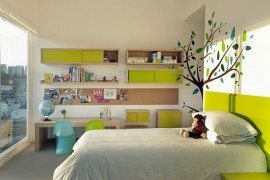 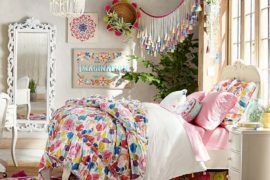 While wall hangings have increasingly graced the walls of grown-ups’ rooms over last few years, they’ve definitely been occupying more kids’ rooms lately. 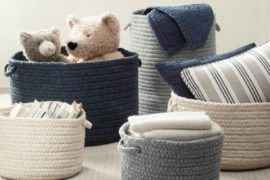 After all, they’re soft and textured, and you can make them as colorful as you like! 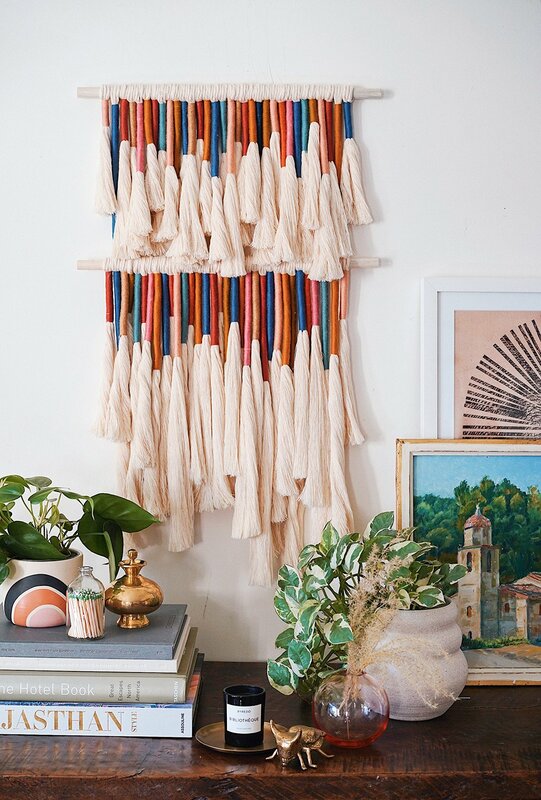 We recently featured this DIY Tassel Wall Hanging from Honestly WTF in our wall hanging roundup. 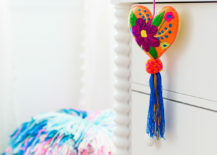 You can also purchase wall hangings if you don’t have time to craft one of your own! 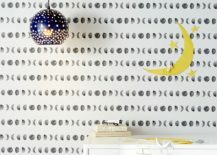 Which trend featured above is your favorite? 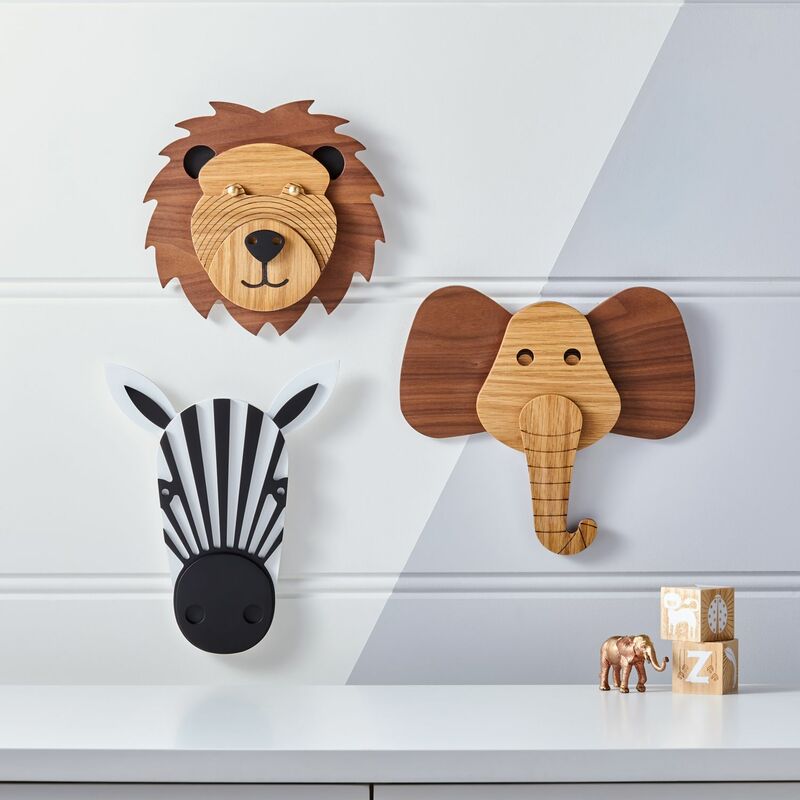 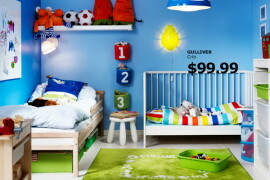 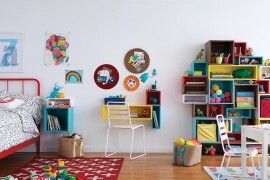 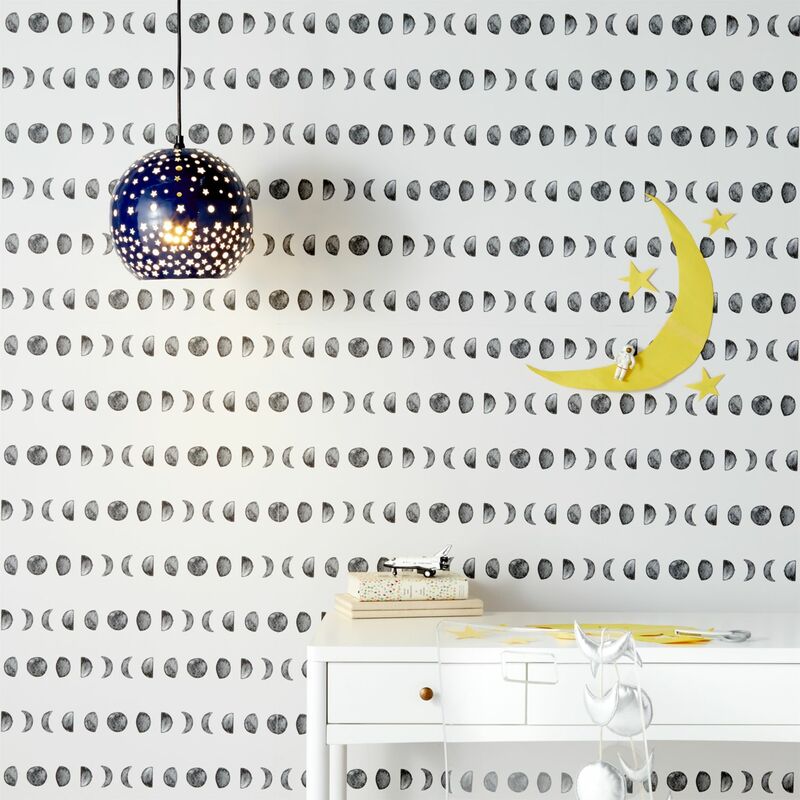 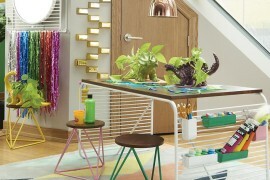 Why not combine a few of them to make a statement this season in your child’s space? 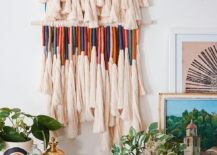 We’re already dreaming up a tasseled and pom-pommed wall hanging featuring natural materials… Thanks for reading!